MOSCOW, January 15. /TASS/. Washington’s statements on the Joint Comprehensive Plan of Action (JCPOA) for Iran’s nuclear program will not boost optimism nor stability, Russian Foreign Minister Sergey Lavrov said at a press conference on Friday, summarizing the results of Moscow’s diplomatic activities in 2017. "The recent statements aimed at disrupting the implementation of the JCPOA have boosted neither optimism nor stability," he said. "We will seek to maintain the agreements on the Iranian nuclear program, we will seek to normalize the situation around the Israeli-Palestinian settlement," he said. "The Middle East problems are profoundly exacerbated by the fact that the Palestinian issue continues to be unresolved." "Since Washington began to make statements on whether it was reasonable to keep the JCPOA in force, we, as well as China and the EU’s participants to the document, have repeatedly told the US that we believed this step to be destructive, as it will have unpredictable consequences. Unfortunately, our words were ignored. 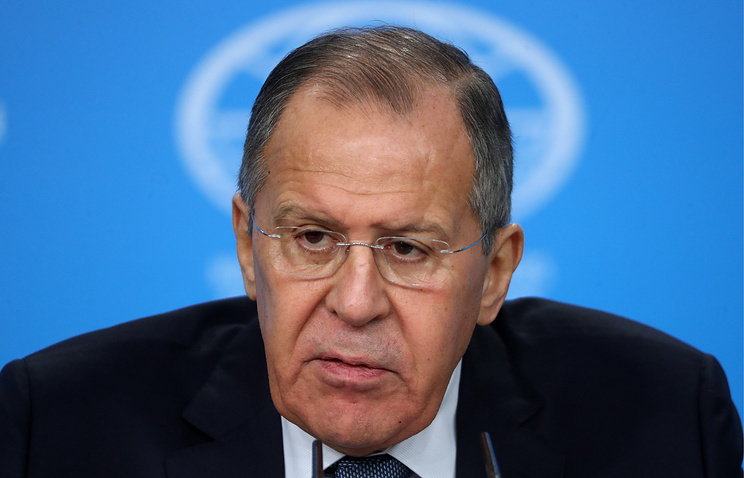 Nor have our efforts met with success yet," Lavrov said. "We will continue our efforts to make the US accept realty," he said. "The reality is that Iran has been fulfilling all its obligations under the JCPOA, which has been regularly verified by the IAEA’s director general," the Russian top diplomat stressed, adding that "the International Atomic Energy Agency has not voiced a single concern in relation to Iran’s obligations under the nuclear deal." "We are confident that the JCPOA is one of the most important achievements made by the global community, aimed at stabilizing the situation in the Middle East and preventing the erosion of the non-proliferation system. We have repeatedly emphasized our position to the US," Lavrov added. "Hopefully, our European partners, which will be strongly lured by Americans, will stick to it without taking out what is prescribed by the JCPOA," he added. "Let’s see how the situation unfolds, but so far I find it difficult to predict the position of European (countries) regarding the Iranian nuclear program. It seems to me they are already pressing for certain compromises, which will mean sliding towards a downward spiral in a very dangerous direction," he said. Russia won’t back the US-proposed amendments to the Joint Comprehensive Plan of Action, he said. "What the United States is trying to do – to amend the text of the deal by including issues that are absolutely unacceptable for Iran - we won’t back this," Lavrov stressed. In particular, Washington demands access upon first request to any facility, which is beyond the deal’s framework, and Iran’s indefinite relinquishment of its rights under the non-proliferation treaty and the International Atomic Energy Agency’s Charter. Washington also calls on Iran to stop developing ballistic missiles although Tehran has never been committed to this, Lavrov noted. "They demand that Iran stop meddling in the affairs of neighboring countries and other regional states, and stop violating human rights at home. And now a whole package of sanctions against Iran is in the works, including for these lapses beyond the program to settle the nuclear issue," Lavrov said. "All this is regrettable as in a few months there will be another review and if the US indeed slams the door on it, I don’t even want to think of the consequences. Certainly, in this situation Iran won’t consider that it has to be committed to the JCPOA," he emphasized.